Even under the best of circumstances, the process of selling a home can be an emotional rollercoaster. But when you add in other contributing factors like time crunches, financial worries, and major life events, the pressure to sell property fast can be all-encompassing. This is especially true when you’re trying to sell your home through conventional means. We buy homes that need a quick ownership exchange for a variety of reasons, allowing property owners to move on to their next phase of life without the hassle that normally comes along with a real estate sale. If you find yourself in one of the following situations, you may need help selling a home on a much shorter timeline. Depending on your profession, you may need to have the freedom to move to a new place and start work in a very short period of time. But when you own your home, this can be incredibly complicated. If you don’t have the luxury to wait around for an offer, we buy homes so that families can get to their destination and keep the financial security their job provides. Bankruptcy and foreclosure impact so many families nationwide, and these events can be extremely difficult to recover from. However, there can be ways to avoid home foreclosure. Instead of flushing your credit score down the drain, you can sell your home to an investor to put some cash back in your pocket and start fresh. While you won’t make a profit, it’s a far better alternative to foreclosure or struggling to make mortgage payments. If you have inherited a piece of property from a loved one but simply have no use for it, you may be able to sell it to an investor during a fast exchange. Because we buy homes as is, you won’t have to make expensive upgrades in order to sell the home in the traditional way. We’ll take care of fixing it up so that you don’t have to deal with it. Essentially, we can take the property off your hands and put some money back in your bank account. If you own and manage a rental property but have realized you’d rather get out of the landlord game, real estate investors can help. You won’t have to deal with commission costs or the struggle of listing a home and waiting for interested parties to make an offer. You can instead be free and clear of the property with no more tenant responsibilities to take care of. Experiencing a stressful life event (like a divorce or death) is awful enough without having to deal with selling your home. 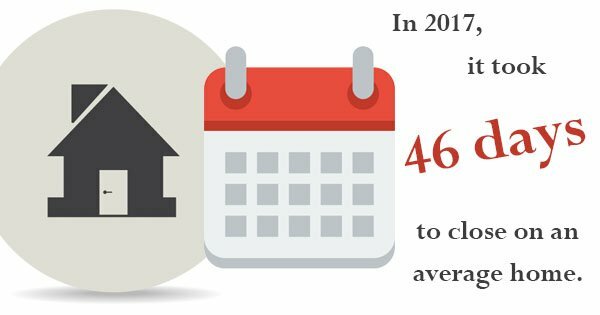 In 2017, it took 46 days to close on an average home. Homeowners who need to move on to their next life chapter are often not able to wait this long to sell. When you work with an investor, you won’t have to delay this process and can focus on taking care of yourself. In all of the above situations (and all sorts of others), investors can help you sell your property quickly and without a fuss. For more information on how to sell a home and how we can assist you during this transitional phase, contact Ittenbach Capital today.